If you're like me, you grew up watching Battle of The Planets. Well, actually, I preferred Star Blazers. It took a while for me to really understand what was going on with those 5 bird ninjas and their struggle against Galactor. Actually, what it took was finally catching the original 1972 Tatsunoko Japanese version, the tremendously popular Science Ninja Team Gatchaman. 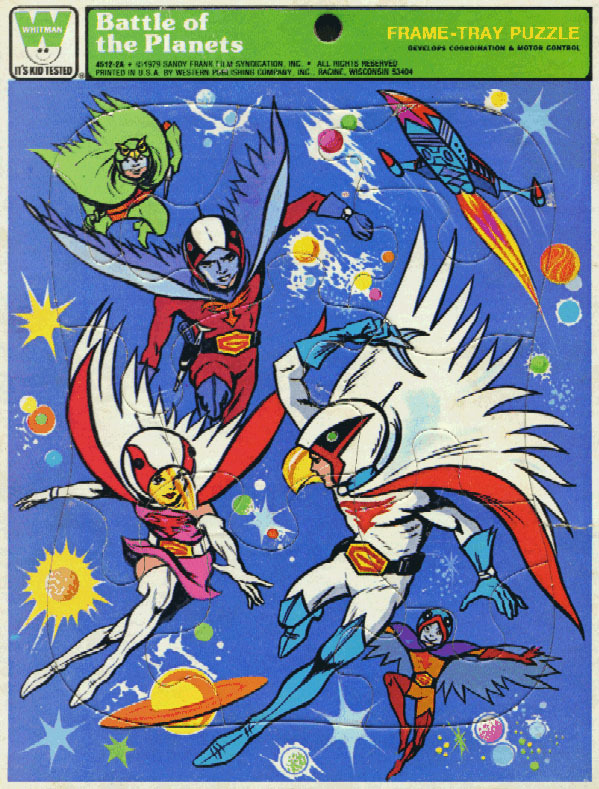 Created by manga pioneer Tatsuo Yoshida, Gatchaman was a wild, colorful SF reimagining of his early 60s adventure series "Phantom Agents," remixed with space aliens, supercars, giant mechanical monsters, and all the bell bottom jeans the 1970s could provide. Gatchaman would return in the 1978 sequel Gatchaman II and its followup, 1979's Gatchaman Fighter. 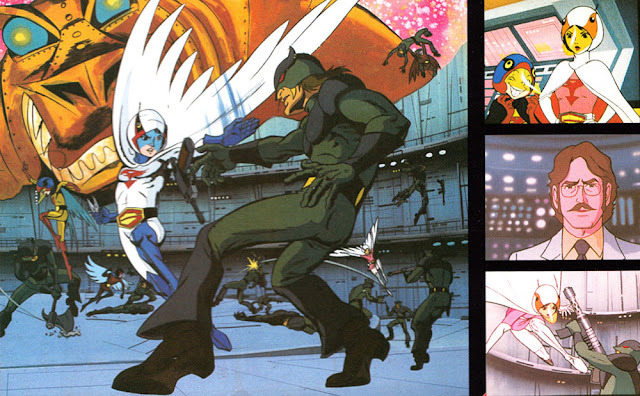 The success of Star Wars brought science fiction to the attention of every media executive in America, and Tatsunoko's earlier export Speed Racer had given the studio a beachhead in America. 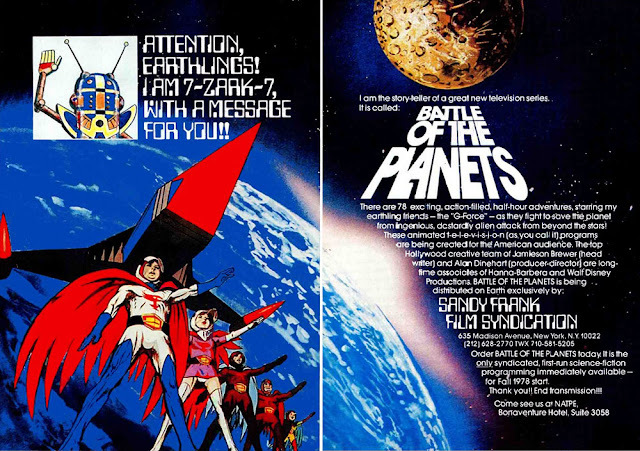 However, since the 1960s, new standards for children's television had prevailed in the US, so TV producer Sandy Frank's Gatchaman iteration Battle Of The Planets was chopped, channeled, rewritten, repainted, lowered, and had a new, vastly inferior transmission installed. And that's as far as I'm going with that car metaphor. At any rate it's a terrific titan of 70s anime, featuring super monsters, colorful heroes, lots of kid-friendly action, anime melodrama, muscular, fairly realistic character designs, and a great Hoyt Curtin musical score. As dated and clumsy as the BOTP dub can be at times, the greatness of the original show still shines through. 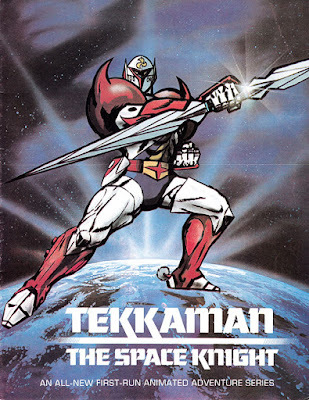 The series inspired a wide range of American merchandise, including model kits, lunchboxes, Gold Key comics that are not worth $20 each, sorry, and various magic slate and frame tray puzzle toys. 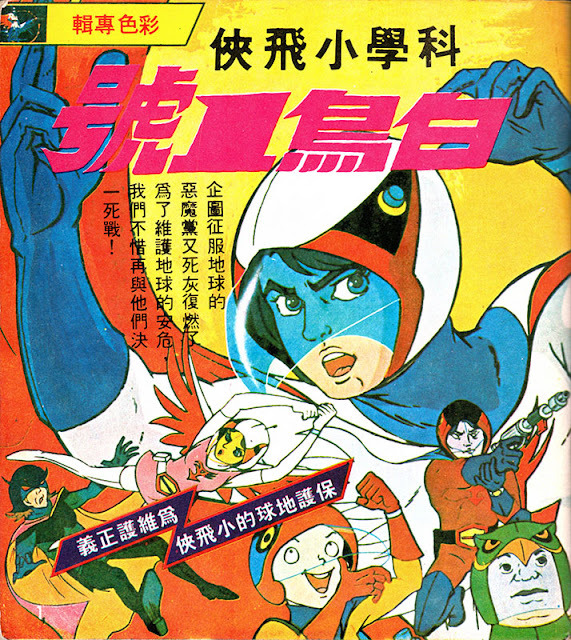 Once 1978's Battle of The Planets had run its syndication course, the entire series was re-dubbed by Fred "Astro Boy" Ladd for Turner, under the new title G-Force. This new, uncut version of the series (1986) featured goofy character names ("Ace Goodheart") and new, synthesized, incessant, maddening background music. The series was shown a few times on the various channels of the Turner cable network before vanishing mysteriously. 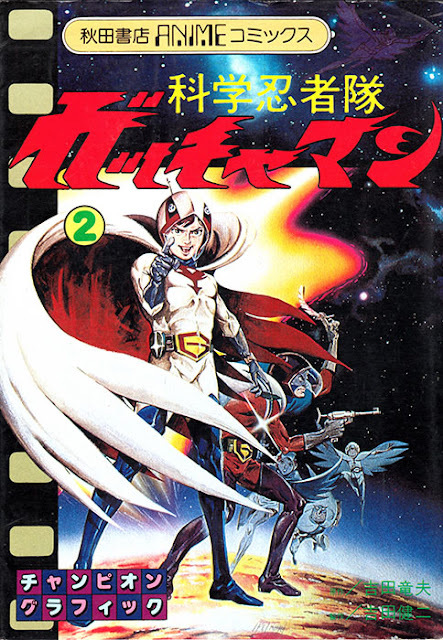 In the 1990s Saban (you know, the Power Rangers people) took the second and third Gatchaman series (Gatchaman II and Gatchaman Fighter) and dubbed them under the title "Eagle Riders". This fairly nonsensical dub worked its way into syndication and vanished opposite a late-decade wave of newer, more popular anime imports like Sailor Moon. Once DVDs made their appearance, Rhino Video produced six volumes of Battle Of The Planets - each release featuring two BOTP episodes, two subtitled Gatchaman episodes, and one G-Force episode. Four years later, anime localizer A.D.Vision released the entire 105-episode Gatchaman series, with new, accurate dubs AND subtitles, in DVD box sets with extras. Suddenly anime fans could not only enjoy the entire Gatchaman series as it was intended to be seen, but anime con panelists could spend an hour discussing the show, and then go to the dealers room and purchase an officially licensed, uncut, super-high-quality edition of the actual show under discussion, in order to demonstrate that the original series, while more violent than typical American cartoons of the period, was not the blood-drenched gore-fest popular imaginations would have you believe. The series continues to live on in the American video market: ADV's successor Sentai Filmworks has released the TV series and its compilation film on Blu-Ray and DVD. The 1990s OVA remake, the abortive CG film, the live-action film, the Zip! "Good Morning Gatchaman" shorts, and kinda-sorta-sequels like Gatchaman Crowds remind us all that the bird ninjas continue to thrive in the Japanese cultural landscape. 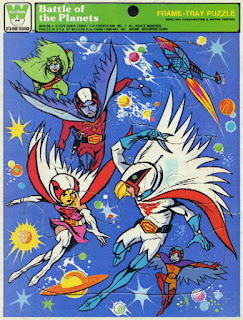 Gatchaman was one of the first American anime releases to have a substantial fandom built around it; when I got into anime fandom in the 1980s, Gatchaman fans were there already, publishing APAs and writing fan fiction, cosplaying and drawing fan artwork and swapping 13th generation copies of the last 5 episodes of Gatchaman F. It's an enthusiasm that's mirrored in the culture at large; Battle of The Planets inspired two completely separate American comic book releases and continues to be a minor cultural touchstone among former 70s cartoon kids, wide-eyed with wonder at a future that gives us both Battle Of The Planets and Gatchaman and Gatchaman II and soon, Gatchaman F.
Since 1939, the World Science Fiction Society has held a Worldcon every year. Well, they took a few years off for WWII. Anyway, each annual Worldcon happens in a city at least 500 miles away from the site of the previous Worldcon, because reasons. 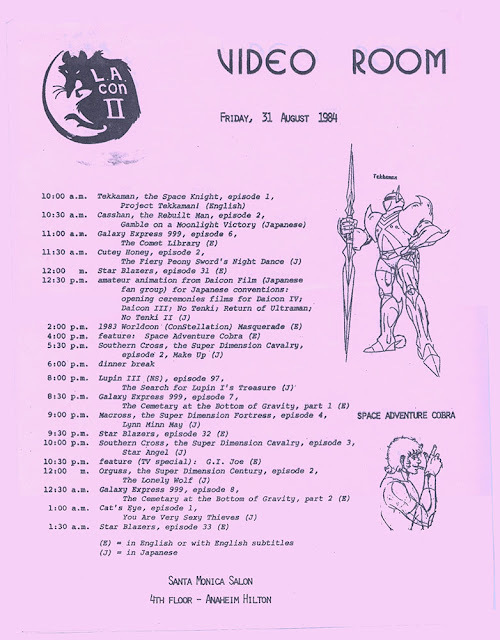 As the pre-eminent gathering of science fiction fans and pros, it's the go-to destination for every sci-fi junkie and fantasy nerd who can scrape up plane fare, jam themselves fifteen deep into hotel rooms, and endure three hours of stern Bob Heinlein lectures on American freedom (Kansas City, '76). And as part and parcel of that swirling stew of propeller-beanie-sporting poindexters, anime fans have found themselves thrust into the heart of Worldcon on more than one occasion. 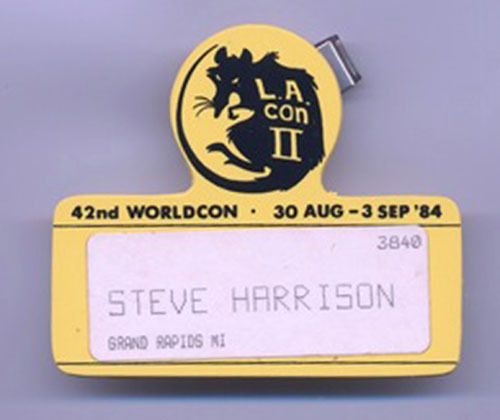 1984's Worldcon - "L.A. Con II" - took place August 30 all the way to September 3 - that's right, these things are FIVE DAYS LONG - at the Anaheim Hilton and Anaheim Convention Center, across the street from Disneyland and also the future site of 1998 and 1999's Anime Expo. Guest of Honor was Gordon "Dorsai!" Dickson, with Robert "Psycho" Bloch and Jerry "Janissaries" Pournelle MCing and hosting awards ceremonies. L.A. Con II had almost 8400 members, an impressive number for the time. 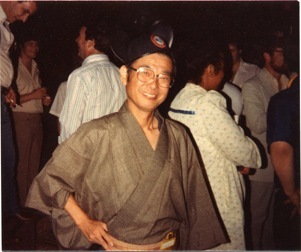 Even for fans of "Japanimation", as it was then called, the convention was truly a magical gathering. Visiting Gundam guru Yoshiyuki Tomino revealed here for the first time that Mobile Suit Gundam was getting a sequel. 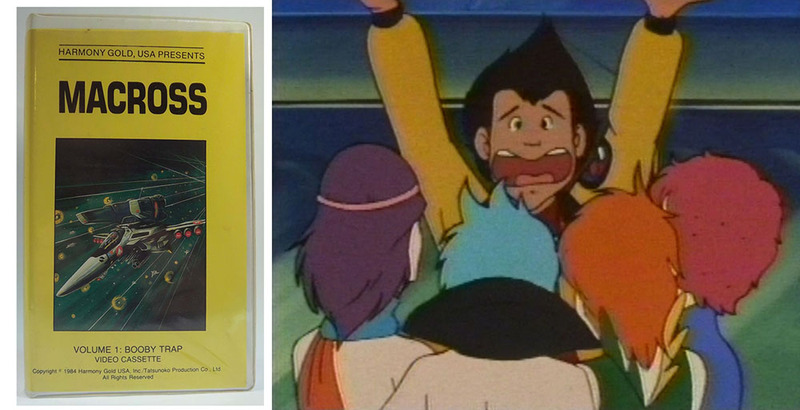 A 35mm print of the Lensman anime film received its American premiere. Carl Macek screened Harmony Gold's direct-to-video Macross, the precursor to next year's Robotech. And over in the Santa Monica Salon on the 4th floor of the Hilton, the LA chapter of the Cartoon/Fantasy Organization was rocking the house with a full slate of that Japanimation thing, all weekend long! Recently uncovered in the voluminous files of Dr. Steve Harrison - who was there! - we now have definite proof of the schedule of the 1984 Worldcon's anime room. And what a schedule it was, with a mix of the old and the new, the English and the Japanese, future franchises and lost relics waiting to be forgotten. Thursday kicked things off with Star Blazers, next straight into Tatsunoko's robot-fighting Casshan, followed by some Galaxy Express 999 TV episodes, and then dropped unsuspecting audiences into Toei's 1973's risque Go Nagai adventure series Cutey Honey. Next up, a jarring change of pace with the considerably classier Sherlock Hound - you know, the Sherlock Holmes adventures animated by TMS starring the Famous Detective Holmes, who's now a dog living in a dog London? Sure you do. 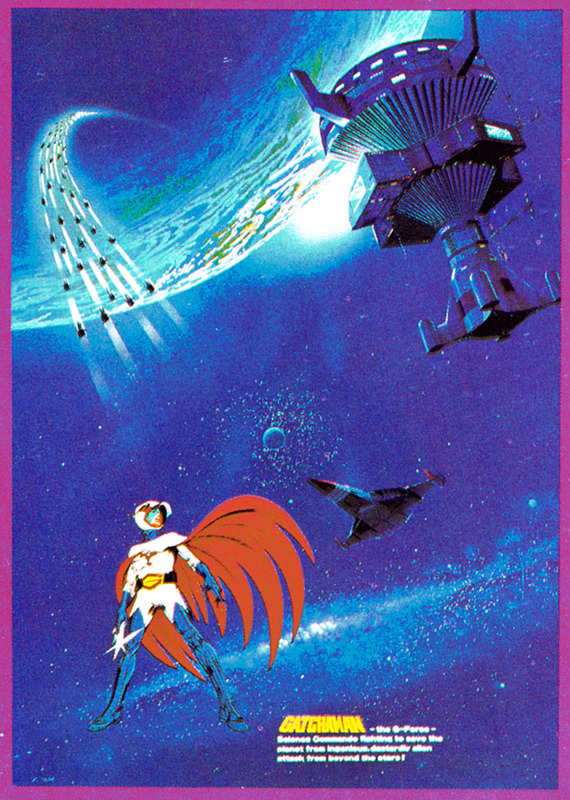 Then, back to outer space with Tatsunoko's Macross, the English dub of their Dashing Warrior Muteking, some more Star Blazers for your afternoon, and then back to Tatsunoko land for an episode of their then-new SF series Southern Cross. That was followed by an English language episode of the TMS series Adventures Of Gamba, the world-famous tale of the sailing mouse battling to defend the mouse island, popular all over the world except in the United States. This was followed by the magical girl Minky Momo, and then the always-popular "dinner break". The rest of the evening? Galaxy Express, Lupin III, Star Blazers, Gold Lightan, a early subtitled version of Lupin III Castle Of Cagliostro, the first episode of TMS's robot anime Orguss followed by another TMS robot anime God Mars, and the wee hours would see more Star Blazers and Macross. 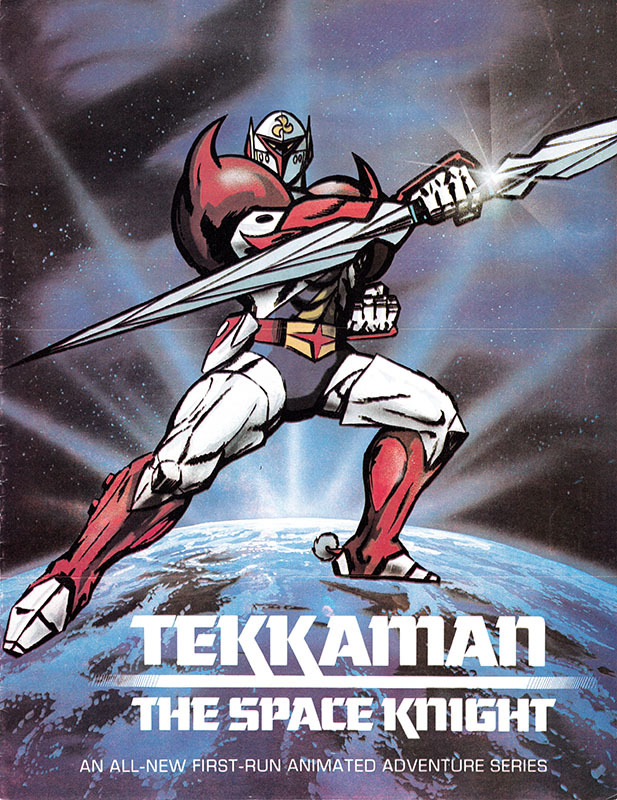 Friday started bright and early with Tatsunoko's 1975 outer space knight Space Knight Tekkaman, soon to be released to home video in an English-dubbed version with the C/FO's own Fred Patten on staff. 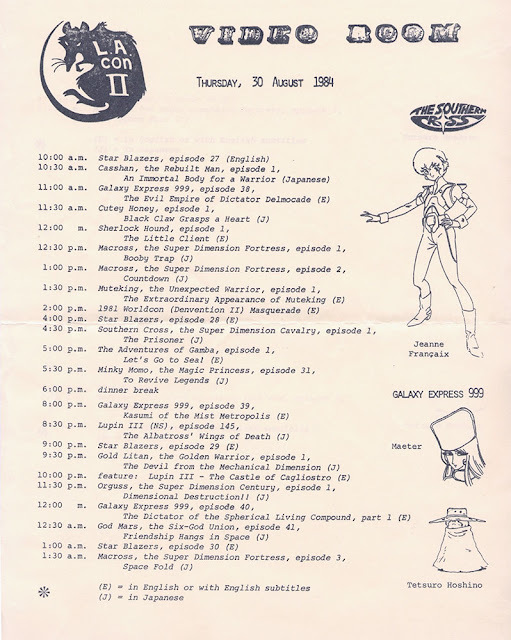 The daytime's schedule of the familiar Star Blazers, Macross, Galaxy Express and Cutey Honey would be enlivened by what might have been the North American premiere of the world-famous Daicon III and IV opening animations, produced by what would become Gainax. Take a break for some fresh air as they re-run last year's Worldcon costume contest, but be back at 5:30 for the Space Adventure Cobra film, Osamu Dezaki's love letter to the splitscreen psychedelic psycho-gun world of outer space adventure, and settle back for more Star Blazers, Macross, 999, and Orguss, with a side of art-thief coffee-shop proprietors Cat's Eye. Oh yeah, and GI Joe. Saturday? Get there bright and early for more Star Blazers! Some Space Cobra! A little Galaxy Express, some more Cutey Honey, future-cop adventures with Tatsunoko's Urashiman, highlights of CostumeCon II, and then Carl Macek himself will introduce the American feature-length adaptation of Super Space Fortress Macross! Singing along with the theme song is not only suggested, it is strongly encouraged. Then get ready for vintage Miyazaki with Lupin III #155 - "Farewell Lovely Lupin" - some more Southern Cross, what appears to be the English pilot dub of Tatsunoko's Mospeada, more Macross and Galaxy Express, a special presentation of the live-action Japanese SF film Sayonara Jupiter, the English pilot for Space Adventure Cobra, and more Star Blazers, Orguss, and Cat's Eye, at which point it's 2:00 in the morning and you stagger back to the room you're sharing with a bunch of strangers to try to claim a spot on the floor, stunned with the realization that you still have two more full days of Worldcon ahead of you. A few questions still remain: did the anime room continue for Sunday and Monday? And why no Gatchaman? Why no Captain Harlock or Raideen? How did Tomino feel about the complete lack of Mobile Suit Gundam on the anime room schedule? Worldcons future and past would deliver Japanese animation firsts to American audiences: the 1983 Worldcon featured rooftop cosplayers and a screening of a 35mm print of Arrivederchi Yamato (it was supposed to be Final Yamato, but something got lost in translation), and the '88 New Orleans Worldcon, "Nolacon", would see both a 35mm print of Wings Of Honneamise and the premiere of Gainax's Gunbuster, and as a video room staffer, the opportunity to make VHS copies of the anime opening credits tape brought over by Japanese visitors was priceless. But in 1988, we were ready; we knew what "anime" was and were hungry for more. In 1984, not so much. For sheer impactful power of an artistic medium upon a nation unprepared for its awesomeness, 1984 was a singular year. 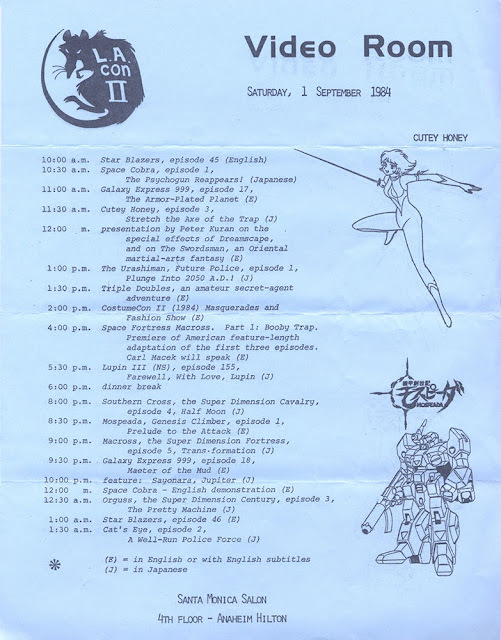 Special thanks to Steve Harrison for unearthing these schedules and to L.A. Con II and the C/FO for making it all happen in 1984!